Remember when Sony decided to sell off its entire PC business in one fell swoop? It looks like that wasn't the end of the company's iconic VAIO designs. 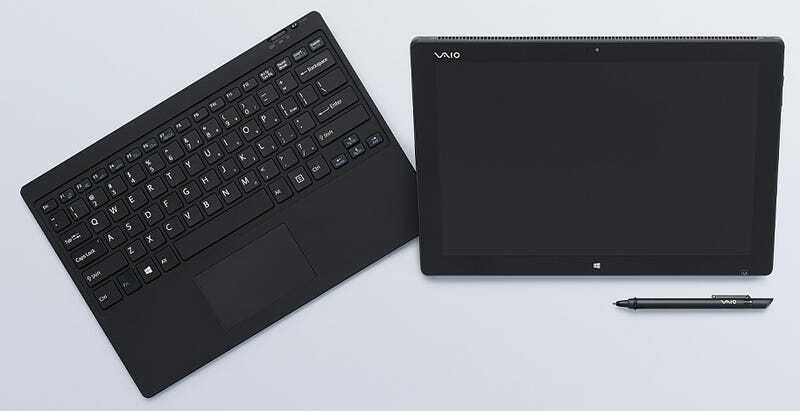 Today at Adobe's MAX design conference, the new VAIO Corporation showed off a brand new tablet computer aimed directly at pros. It's a beefy machine with a 12.3-inch 2K display, a stylus pen, and a detachable wireless keyboard. Yes, it's the spitting image of Sony's VAIO Tap 11, only now with a heck of a lot more power under the hood. That 2560 x 1704 resolution display is driven by a relatively high voltage Intel H-series processor with Intel's top-tier Iris Pro integrated graphics, and comes with no fewer than two full-size USB 3.0 ports, an HDMI socket, a Mini DisplayPort, even room for a full-size SDXC card. In other words, it's one chunky tablet.